Students followed up the audit turning their findings into action including presenting their waste audit findings with a creative and interactive education campaign in a school wide assembly. 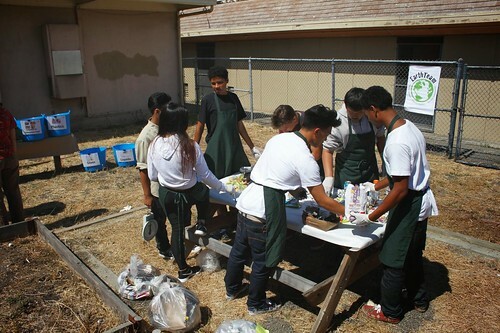 The next step in their waste reduction efforts came on Wednesday November 6th when EarthTeam teamed up with students and teachers at Alameda Community Learning Center (ACLC) and Litterati founder Jeff Kirschner for a special presentation and activity to help students take on waste with 21st century skills and technology. Litterati is a mobile app that is changing the way people relate to waste while helping people crowdsource-clean up the planet “one piece at a time”. 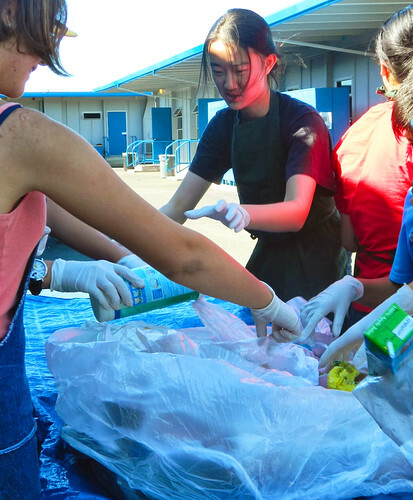 EarthTeam adopted the use of Litterati with our students throughout our programs in September with a successful pilot at Pinole Valley High School finding that students responded well to using creative solutions and todays technology to solve today's’ problems. 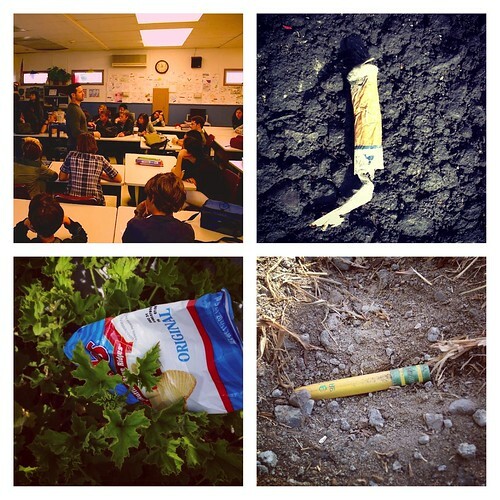 Armed with a mobile device and an Instagram account, students 1) find a piece of litter, 2) take a photo using the app, 3) tag it with #litterati and whatever brand or item type it may be (ex. #starbucks #coffeecup) and 4) post it for the world to see. The final step is to 5) dispose of the item properly. Today Litterati.org reports that just under 25,000 pieces of litter have been picked up, cataloged and disposed of properly with the #litterati hashtag. The potential of this tool to change the way people relate to litter are endless. At the very least, litter is being picked up from the common spaces we all frequent- something we can all get behind. 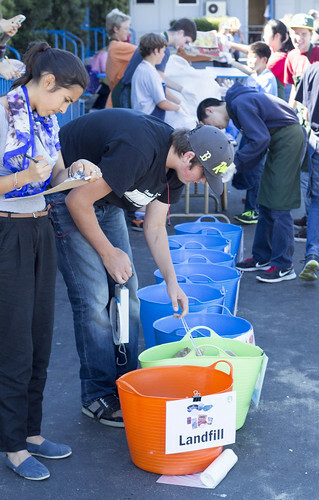 On a larger level, students can have a direct, trackable impact on their environment while spurring conversations with brands, community entities and peers about ways to reduce litter. During Jeff’s visit to ACLC students got a front row seat to hear the story of how Litterati started, see some of the back end data for the website and hashtag aggregations and ask questions to Jeff about the impact Litterati could have on the world. At the conclusion of the presentation, students flooded outside the classroom to give Litterati a try. Some students logged into a shared Instragam account set up by EarthTeam (@earthteamaclc) while others used their personal accounts. 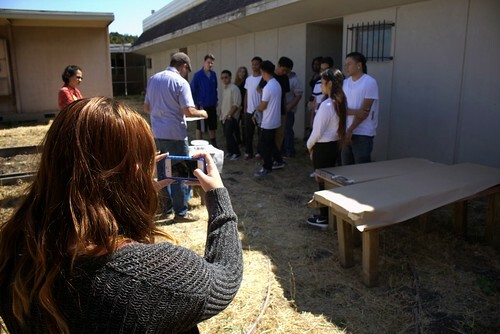 Students wandered the nearby grounds in search of litter, taking photos, sharing and throwing them away. Students were having fun, getting interesting photo angles and seeing the Instagram feed populate with everyone’s different photos. Students dispersed as the final bell rung and the teachers took a big breathe signifying the day had come to a close. The adults got together to review the activity and the dozen new photos students had taken. Teacher Patricia Williamson scrolled through the student work and exclaimed, “I think I get it. I can use this with my students throughout the year.” That’s the hope. With the right tools and opportunities students will engage in learning and action for the greater good.